How to Identify & Control Common Lawn Weeds - Hilltop Acres Poultry Products Inc. The presence of annual and perennial weeds is the least favourite part of gardening. Imagine taking the time to make your garden or backyard look beautiful only to have pesky weeds destroy the beauty and affect the quality of your plants. Simply put, weeds are unwanted and have very harmful effects on any natural environment if they aren’t properly controlled. Major weed invasions have been known to threaten the survival of plants and animals because they compete directly (and at times indirectly) for the same resources, nutrients and sunlight. In this post, we’ll take a look at some of the most common garden weeds along with tips on how you can fight them too. This type of weed is notorious for being very hard to get rid of. First off, let’s give you a brief identification of the Canadian Thistle. This plant is a continually recurring weed that has soft green, and spear-like leaves that have barbs on them. The Canadian Thistle has roots that can go very deep into the ground, can survive different soil types and a large range of conditions with moisture which means that getting rid of and controlling this weed requires lots of effort. You can control this weed organically using the hand weeding technique (with scissors) or chemically using Roundup. However, be careful while doing so because of the spiked leaves on the weed and also keep in mind that It can also grow back from a small piece of root. For a more thorough overview of the Canadian Thistle and control methods click here. Crabgrass is another commonly occurring annual weed that can be a nuisance to your lawn and garden because of its ability to hug the ground. Dried out lawns and areas affected or scorched by the sun are usually very inviting areas for Crabgrass. Identifying Crabgrass isn’t as straightforward as identifying the Canadian Thistle and can sometimes be confused with other weeds because of its ability to adapt and change appearance. In order to get rid of Crabgrass, you can also use the hand weeding technique, spot treatment and corn gluten meal mainly in the spring and fall to stop the seedlings from developing root systems. Overall though, the best way to control crabgrass is to keep your lawn full and healthy as there would be no spots for this particular weed to thrive in. There are two species of Chickweed, one is perennial while the most commonly occurring is a cool season annual plant that has small white flowers. Chickweed is most commonly found in moist soil areas that have good exposure to sunlight. Luckily, the second species of Chickweed is much easier to control because it has shallow roots. Interestingly enough, Chickweed is actually an edible weed that has plenty of nutrients and aside from its reputation as a weed, is generally considered a safe medicinal plant. Some of the benefits Chickweed provides is digestive aid by acting as a mild laxative that rids the body of toxins. In addition, it helps minimize inflammation for joints. If you aren’t interested in using Chickweed for any of its medicinal purposes or simply just want it off your lawn, you can use a chemical free option like hand weeding (chickweeds have shallow roots) before the plants begin to flower. Other chemical free options include reducing the moisture of your soil and overseeding thinning grass to reduce the chance of infestations. For commonly asked questions about chickweed, be sure to check out this nicely written article that further explains how to control or get rid of chickweed. Dandelions are possibly the most popular name on our list. This is because they’re easy to recognize with bright yellow flowers and green leaves. Dandelions can be found in gardens, lawns, and fields. Like the chickweed, people actually eat Dandelions and find them to have a lot of nutritional value. If you’re interested in eating Dandelions, you can read more about how you can turn them from annoying weeds to tasty meals here. 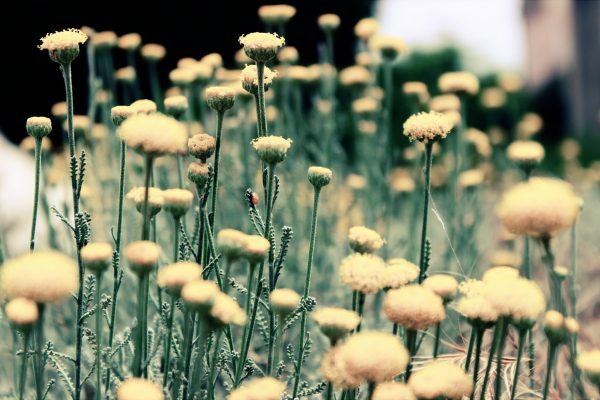 Otherwise, to control Dandelions without damaging your lawn, you can pluck them directly with your hands removing the entire taproot (note that this method can be time very consuming). Hand pulling is best done in the spring and if this method is selected, it has to be repeated for Dandelions that re-emerge from the taproot. If you opt for the chemical route, you’d have to apply pre-emergent herbicides to your lawn or garden to prevent seeds from germinating. Once the Dandelion seeds have germinated, it would be more difficult t control using the pre-emergent method. For further reading, check out these interesting facts you may not have known about Dandelions. Another common invader is Ground Ivy which is also known as Creeping Charlie. Just like the name sounds, it’s a very aggressive weed. It can be identified by its low growing, creeping stems. Creeping Charlie is not easy to get rid of using the hand weeding technique because it simply will keep growing back due to the nodes that are present at the cluster of leaves that it produces. So if you’re planning on using this method, be ready to repeat the attack multiple times to be successful. Otherwise, if you’re going with the chemical route, make sure you use safe options that don’t destroy the plants in your garden or lawn. There are many more weeds that we could’ve covered but we’ve decided it’s best not to tire our readers with an exhaustive list of annoying weeds that can invade lawns and gardens. Although weeds are notoriously troublesome, certain kinds are hard to identify and are often confused for flowers. Remember, just like your tender garden plants, weeds also require water, sunlight and nutrients to survive. The key distinction however is that weeds are intrusive while flowers are intentional and non-threatening. Finally, there are numerous ways to control weeds but there isn’t a one size fits all approach to how you decide to control weeds in your lawn or garden, the approach used will depend on your situation and the threat level.